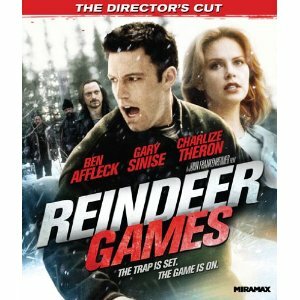 WorldMovieStore - Reindeer Games Sinopsis. When Nick is killed during a prison riot, Rudy decides to assume Nick's identity upon release from prison and meet up with the unknown woman. Burdened with a base knowledge of Nick's Indian casino employment past, Rudy finds himself in too deep with Ashley's brother Gabriel (Gary Sinise) and is violently forced to cooperate with a casino robbery that Gabriel and his gang have been planning with Nick in mind. Written by Brian Orndorf . Read More Sinopsis. 0 Response to "Blu-ray Release Reindeer Games"